Due to expected inclement weather across the state on Primary Election Day next Tuesday, August 30, the Florida LGBTA Democratic Caucus urges its members, supporters and friends across the State of Florida to make sure that if they have not voted yet, to do so this weekend. 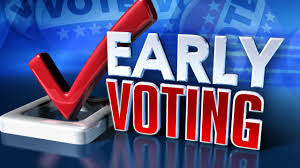 All Early Voting times & locations can be found here. Thank you to our partners at Equality Florida for the link to this page!